El Companero was one of the first place I visited when I arrived in Luxembourg. The restaurant at that time was still located near rue du Cure and having dining and dancing space in the same, large room. I have so many confusing memories related to those nights and actually I was not a fan when they moved in the Ilot Gastronomique, as I think the kind of restaurant El Companero is was not and will not be the same of others in that part of the city. But I am still visiting the place and I also partied there my birthday some years ago. Actually I consider it an nice place, where you want to go for a quick and easygoing dinner and if you don’t want to splurge for the classic three-courses Luxembourgish menu. You can either have food at the restaurant on the first floor or on the cocktail bar basement – definitely the best if you are coming too early or too late. 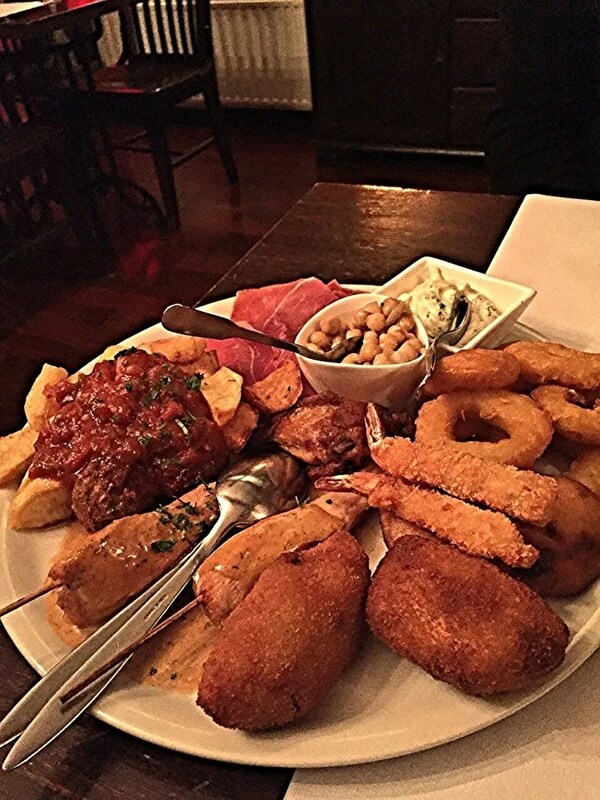 The tapas mixed platter is hugeeeee. The quality is fair enough (nothing haute cuisine) but will fill you up before a night out. Tropical cocktails (if you plan not to drink too much) and Sangria (if you share a pitcher with your companions) are the right drink choices and the best in the area. If you wish to upgrade your dinner, add a mixed Jamon and Queso (ham and cheese) platter. Note also that if you are vegetarian or vegan, they have numerous choices for your appetite – not extremely healthy, as most of the food is deep fried, but still. Personally, I am not a fan of the main courses here – above all if you want to cut your bill – but they could be an option for some. I also tend to recommend El Companero if you are a large group and want to have fun, as the atmosphere is definitely not formal and you can just move downstairs for a dance after dinner! Bonjour girl! Great review, I like the way you write your posts, talented girl! I need to visit this restaurant someday! Thanks for sharing! I had tapas there once and I was disappointed. I hope that they have got better over time. I think you get what you paid for – fair food, definitely nothing exceptional. 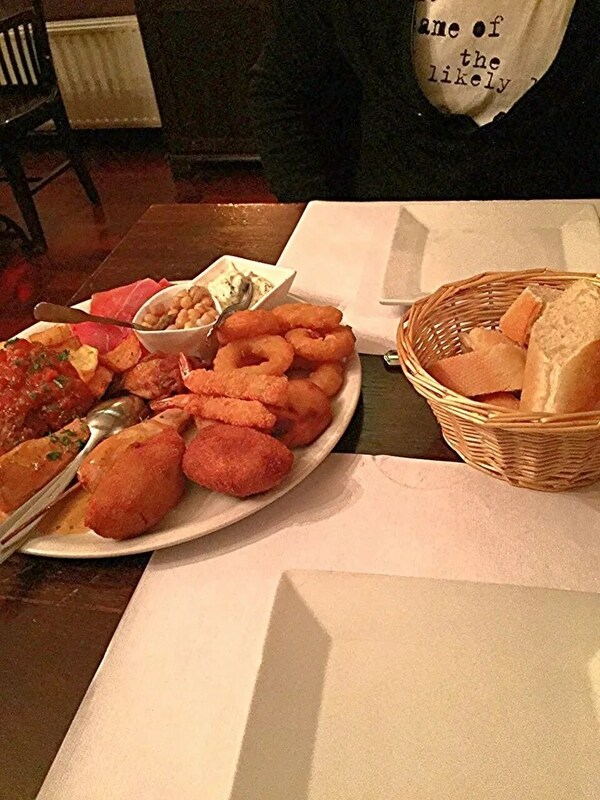 I used really to prefer the tapas from Una Mas, even if it was more expensive, but it closed quickly….